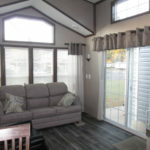 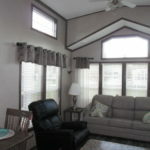 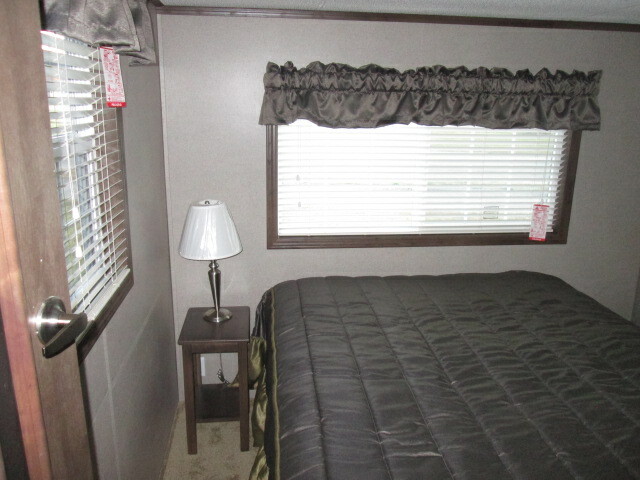 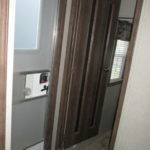 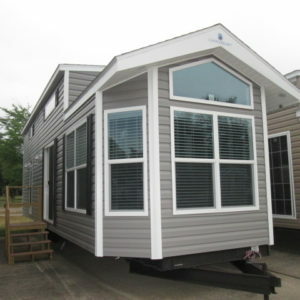 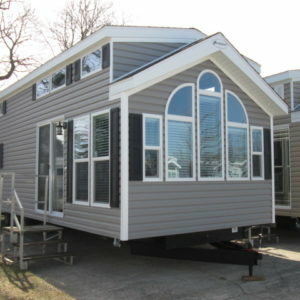 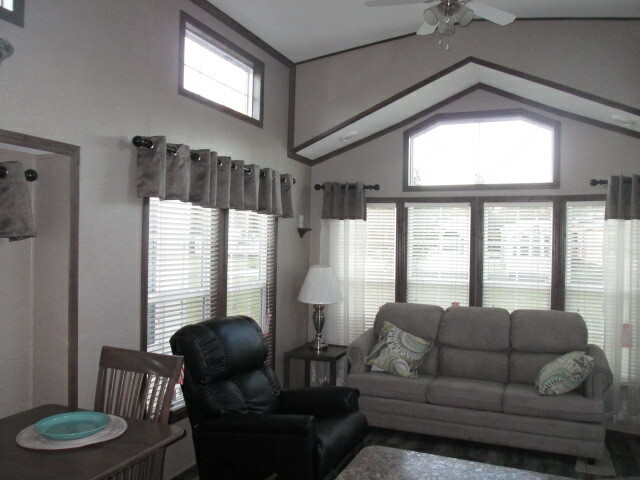 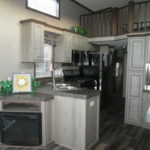 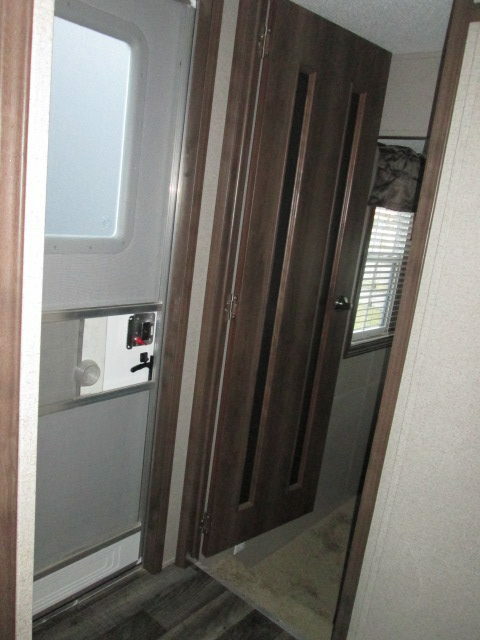 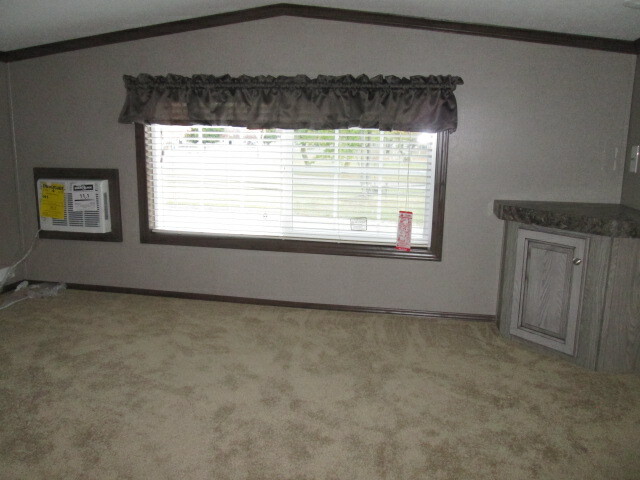 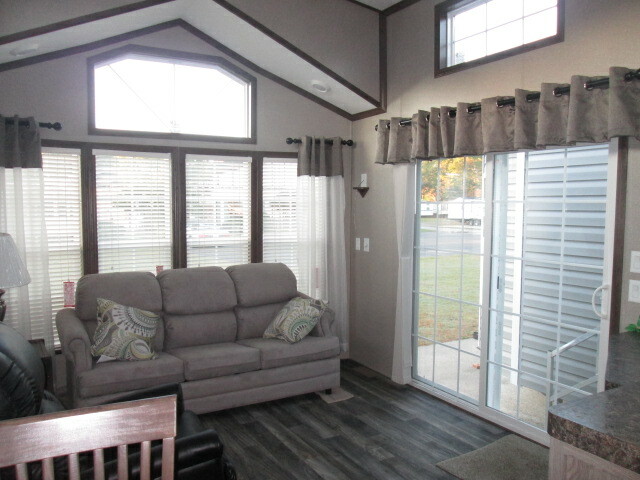 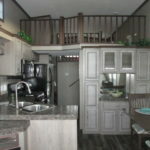 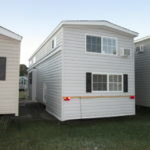 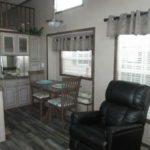 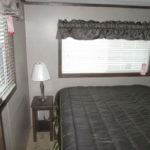 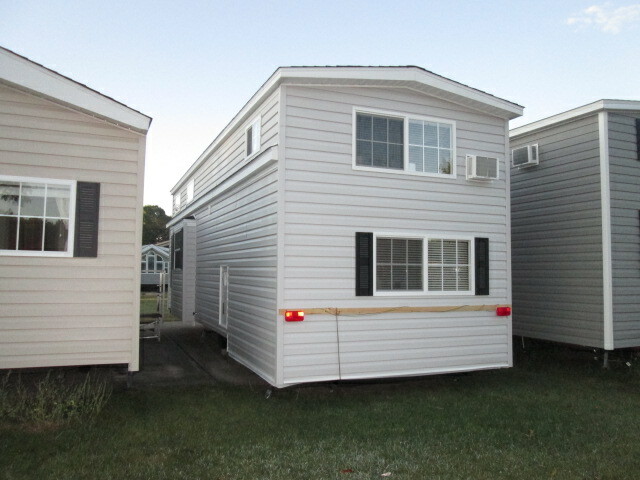 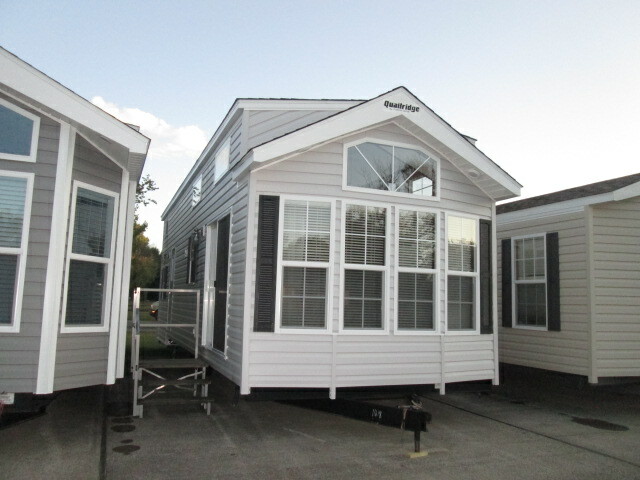 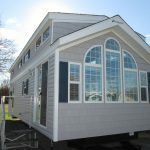 Model 39FLML-3T A very popular park model with a Front Living Room and Door-side Kitchen. 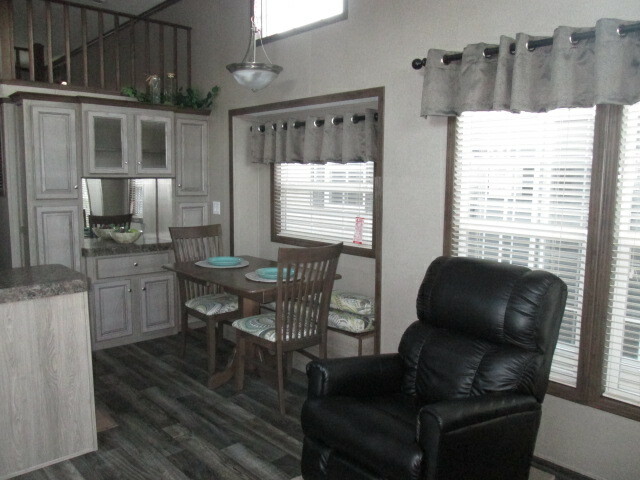 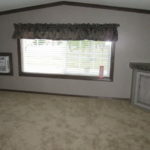 The dinette bay has a built-in bench seat with storage below. 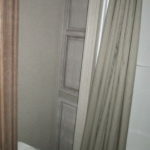 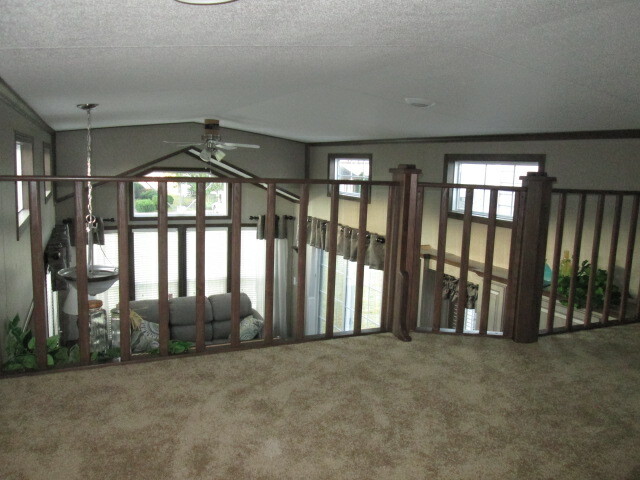 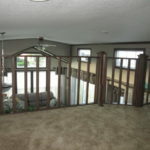 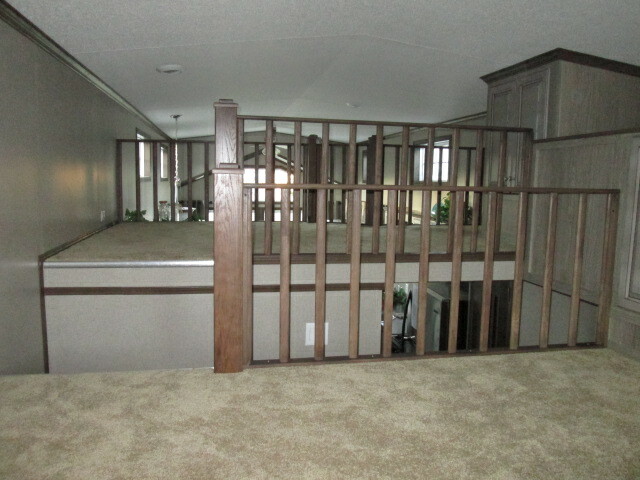 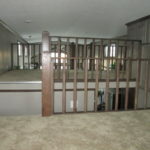 There is a Step-down Master Bedroom with a Super Double Loft above. 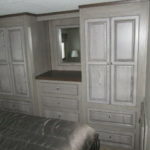 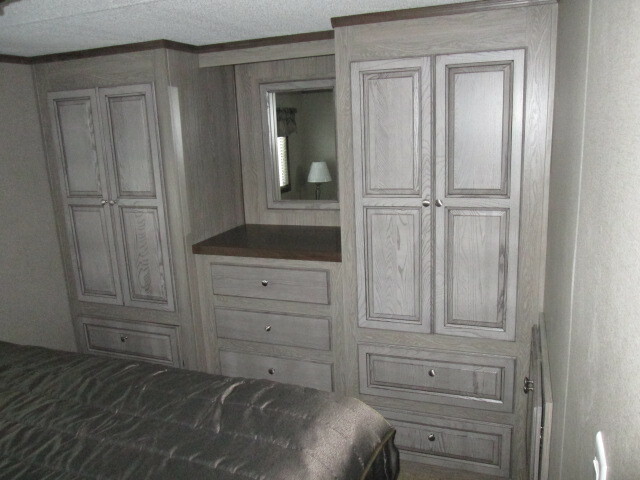 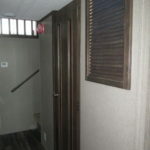 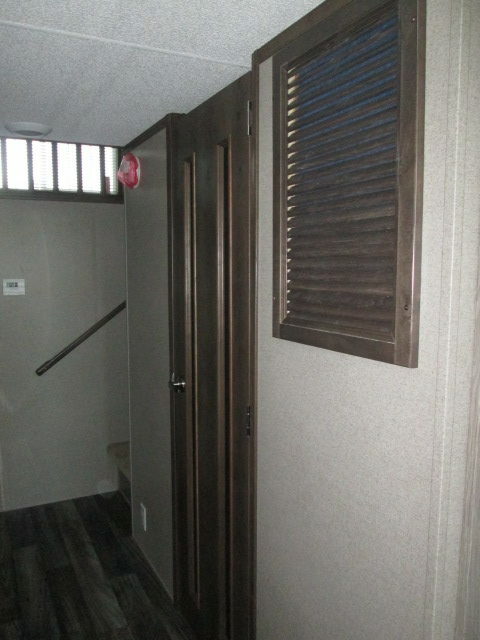 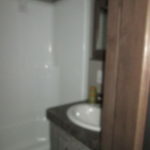 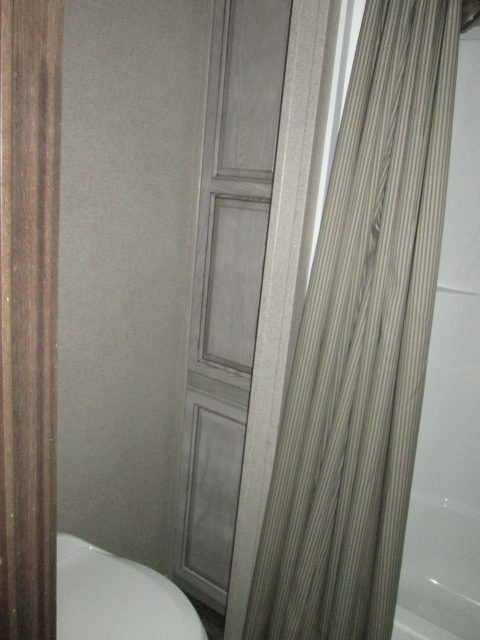 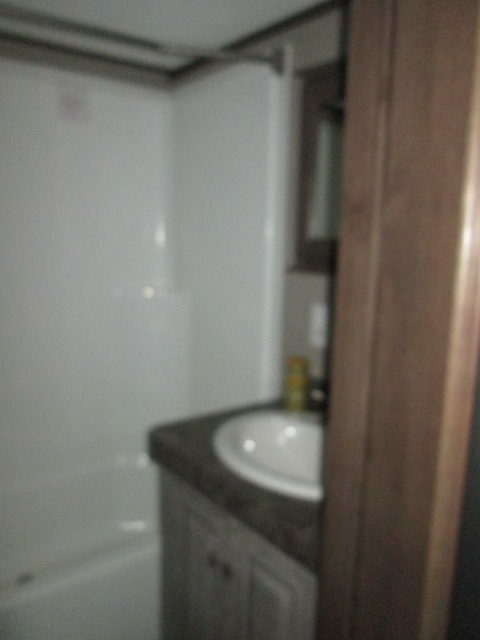 This unit is done in the Fresh Air decor and Gray Oak Glazed Cabinets with Vagabond trim. 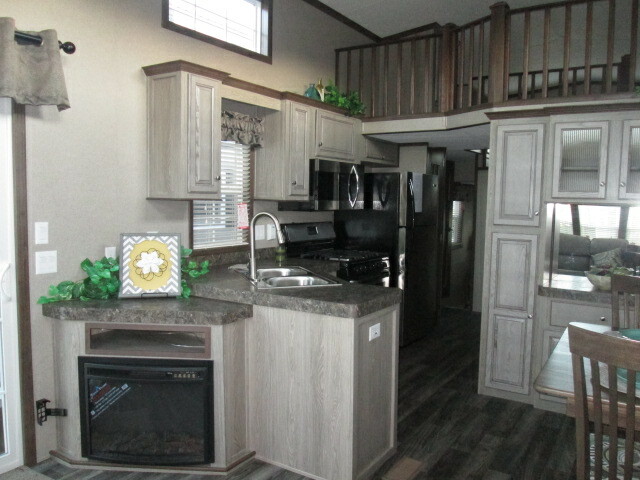 The Espresso counter tops and Gray Plank linoleum compliment the cabinets. 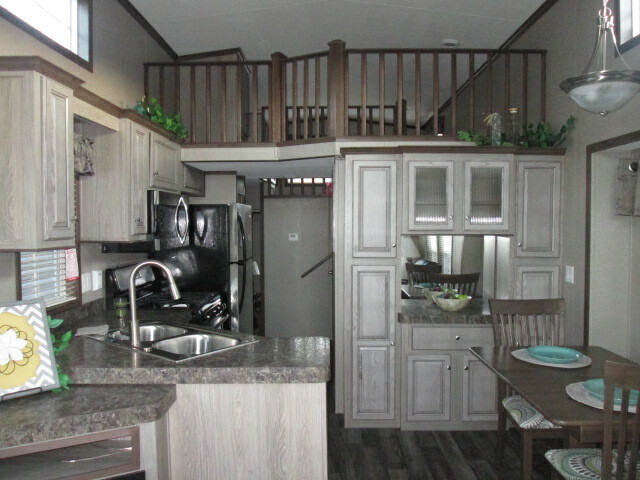 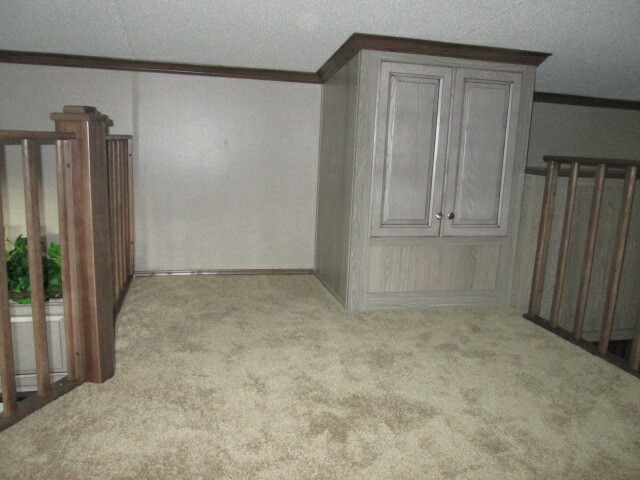 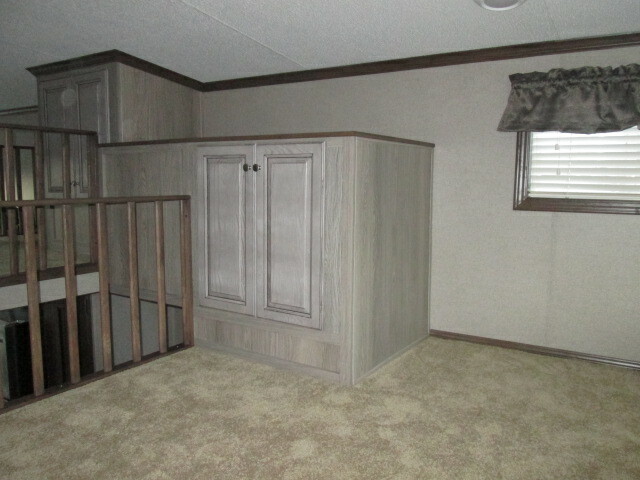 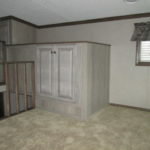 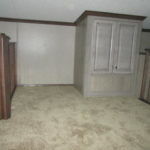 This floor plan makes great use of space and provides ample storage as well as extra sleeping or storage in the lofts.